In its 2012 Global Tuberculosis Report, the World Health Organization (WHO) cited Cambodia as one of the world's great success stories in the reduction of TB infection rates over the past decade. 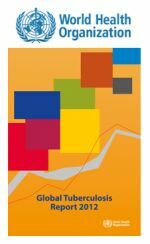 WHO reported a 45% drop in TB prevalence in Cambodia between 2002 and 2011, a significant accomplishment for this country which is among 22 in the world with a high burden of this disease. "Although TB remains a major infectious killer today, the results of this report are very encouraging to us," says Dr. Sok Thim, executive director of the Cambodia Health Committee (CHC). "It highlights that the countrywide scale-up of the CHC TB treatment model, Community Treatment Model (Direct Observed Therapy), that CHC developed and piloted, is making a big contribution." The success of CHC's Community Treatment Model strategy in Svay Rieng and Kompot provinces led the Ministry of Health to adopt the approach countrywide. Community Treatment Model has proven to be an extremely effective health intervention, focusing on the development of teams of community health workers who screen clusters of villages to identify those suffering from TB, provide home delivery of medications to patients not able to travel to clinics, and enlist relatives and others in the community to help patients adhere to their medication regiment. "The strategy is truly grassroots, providing training to community health workers, delivering home treatment, enlisting patient support systems, and providing food and free medicines," says Dr. Anne Goldfeld, president and co-founder of the Global Health Committee/Cambodia Health Committee. "CHC has not only successfully treated thousands of Cambodians for TB and TB/HIV, but also has had a more widespread impact on the community, strengthening social ties and providing economic opportunities."